Great campaign but sadly the Christmas market is full of singers and these songs are getting promoted. Christmas is also the time when sales figures count. We could only ever make a tiny ripple in the ocean of Christmas releases. Would work much better with another song when the chart figures are quieter. 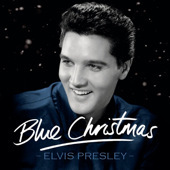 "Blue Christmas" UK campaign sadly fails: The UK Elvis Express reports that after an impressive start to the 'Blue Christmas' campaign (storming into the Amazon downloads Chart at No. 3 and showing up in the top 40 of the HMV Chart), early reports of the official UK Music Charts show that 'Blue Christmas' will fail to even scrape into the Top 200, let alone a new Top 10. EIN notes that while the OEPFC of Great Britain sees this as a big disappointment, the fact that their website contains no regularly updated content nor a large number of followers means that the thought of a download campaign is almost lost from the very start unless properly organised. From EIN's point of view fans also needed a UK based log-in to purchase the downloads, so a worldwide campaign was also fraught with trouble. Brian Quinn is based in the UK and commented, "After perusing many music websites it appears that we all have a lot to learn about today's music charts. For a start, many of the Xmas Singles were already on the i-Tunes Chart in November. Further, the week the 'Blue Christmas' Campaign was launched was the peak purchasing week for Christmas singles which were all on sale for around 59p. Of course we only had one day before the charts were compiled for that week. After that, prices were raised by the retailers to just under a pound for most. Next time around, the campaign will have to be Project Managed. Of course, there were no hard copies on sale in the Supermarkets/Record Shops etc., and any future Campaign will, I suspect, have to have the backing of SONY(UK) if we are to stand a hope of a Top 30 entry."